The first thing that you need to do is set up your computer and the albums you want to sync. If you use iPhoto for all of your folders you may already have this set up. 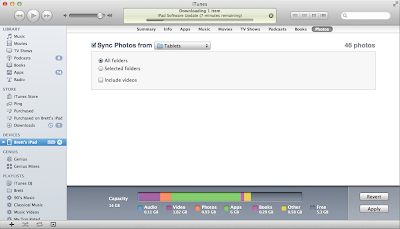 At first when I tried to sync pictures through iTunes it would only let me sync one addition album to the iPad. To be able to sync multiple you need to create a folder that you will place the specific albums you want in it. For example, I have a folder called Tablets. This folder will then have all the different types of tablets. Under Tablets I would create a folder called HP TouchPad, this folder would have all the pictures for the HP TouchTap under it and so on. 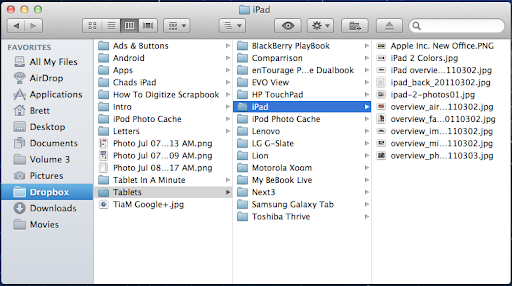 Continue this process until you have all of the folders under the main folder that you want to sync to your iPad. 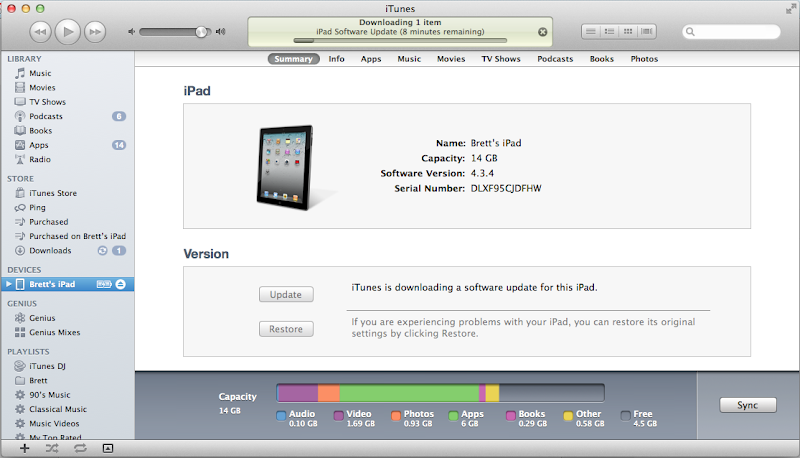 The next step is to plug in your iPad and open iTunes. When you have iTunes open select your iPad. Once you are on the photos tab, pic the drop down and choose the folder that you have all the albums placed in. You can choose to select all the folders in it, or just a few. 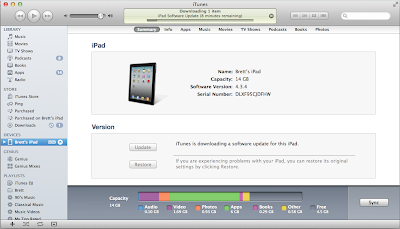 Once you are done with your selection, click apply in the bottom right corner and sync the folders to your iPad. Now you can easily enjoy all of the photos on your iPad. If you do have a folder under the folder called Hp TouchPad with pictures in it, it will just put those pictures in the HP TouchPad folder and not create a second album. Please leave comments if there is anything else I can help you figure out. Also check out Web Albums for a great way to view your photos uploaded to Picasa Web Albums.